La REGA RP8 utilise des matériaux révolutionnaires extra légers et aérés. Il en résulte une capacité à conserver toute l’énergie dans la lecture. Cette platine offre une énorme lisibilité et une restitution extrême des silences du sillon. La RP8 propose une restitution d’un raffinement rarement atteint. Elle offre un design exceptionnel avec son plateau squelette qui permet de « dénuder » sa structure et d’en faire une véritable sculpture contemporaine. 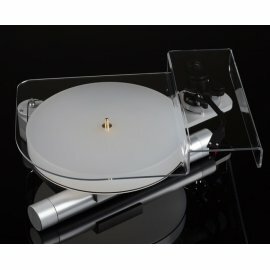 The Rega RP8 skeletal turntable. 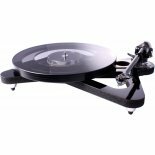 Rega is extremely pleased to announce the launch of the much awaited RP8 turntable. A turntable which takes Rega’s design philosophy further than ever before. A radical new plinth using custom designed materials, a new tonearm bearing assembly, 24v low volt-age motor controlled by a hand tuned electronic power supply and a custom version of our Planar 9 engineered hub bearing assembly. These are just some of the features of this amazing new turntable designed to extract more music from your vinyl than ever before. The RP8 represents probably the biggest step forward in the evolution of Roy Gandy’s turntable design philosophies. Low mass, high rigidity plinths combined with electronically controlled low vibration motors, high flywheel effect platters and lower mass higher stability tonearms. The RP8 is the first of our new “skeletal” design turntables offering groundbreaking levels of performance and amazing value for money. The RP8 will also be available with its perfect partner, the Apheta moving coil cartridge, factory fitted as a package option. A brand new low mass precision engineered vertical bearing assembly has been manufac-tured to further compliment the inherent design philosophy of the RP8 turntable. The RB808 uses the latest Rega arm tube. Completely redesigned to redistribute mass, further reduce stresses and resonances. This advanced design tube increases the stiffness and rigidity of the overall assembly using CAD design to blend the multiple varying tapers. Externally we have fitted a bespoke Rega designed low capacitance phono cable. Which uses an advanced phono plug assembly. This has only two parts to minimise joints and incorporates a twist and clamp design locking the plug to the terminal. The design increases connectivity and ensures the signal path is kept as clean as possible. A super lightweight plinth combined with a double brace mounted specifically where the increased rigidity is required (between the tonearm mounting and the main hub bearing) forms a structurally sound “stressed beam” assembly. This design prevents energy absorption and unwanted resonances which will add un-natural distortions to the music. The RP8 takes our double brace technology to the next level. Not content with an unprecedented stiffness to mass ratio, Rega have obsessively reduced any resonant properties by using two different materials for the new stressed beam. The top layer is magnesium and the bottom layer is pheno-lic (two of the lightest and stiffest materials available). Incorporating two different materials into the brace structure lowers their ability to pick up unwanted airborne vibrations. Simply put, different materials have different natural resonances. By using two different materials together they decrease the natural frequency of each other by self damping. The new RP8 three piece laminated glass platter is the result of a collaboration with a small, emerging, young British glass engineering company. As a general rule the only part of a turntable that requires extra mass is the turntable platter in order to achieve constant rotational speed. However a heavier platter creates more problems for the main bearing design so again an ideal compromise creates the best solution. Practically this means keeping as much of the mass to the outside rim of the glass platter to create more flywheel effect but keeping the inside of the platter as light as possible without sacrificing stiffness. 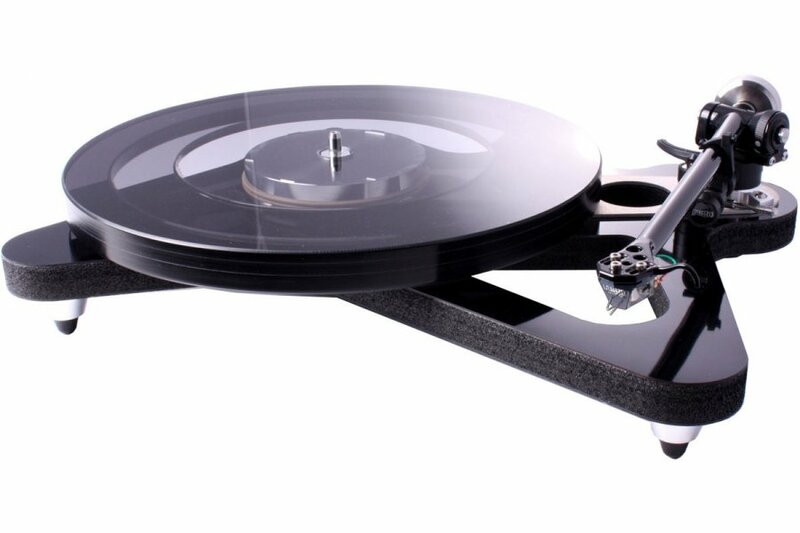 The RP6 was the first Rega turntable to use a precision engineered glass ring laminated to the outside using modern CNC techniques to ensure concentricity. The RP8 takes it one step further by laminating three rings together to produce the RP8 super flywheel effect glass platter - an engineering triumph ! Controversially Rega has always researched methods of producing light but stiff and rigid plinths. The technology is simple: unwanted noise at microscopic levels is developed by the turntable motor and main bearing. The plinth can also pick up airborne vibration from the music. From the beginning in the 1970’s Rega pioneered the use of a stressed skin structure for the plinth. This uses two layers of phenolic resin with a lightweight particle or fibre board sandwiched between the skins. This technique has been used in many applications where stiff, light structures are needed such as an aircraft wing or a Formula 1 chassis. The current increase in interest in turntables has allowed Rega to research and develop higher technology structures for the customer who is happy pay a little more for higher sound quality. 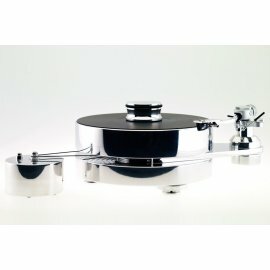 The all new RP8 turntable utilises a unique new stressed skin structure produced from thin phenolic skins sandwiching a featherweight nitrogen expanded, closed cell, polyolefin foam core. This material has been developed exclusively for Rega over a three year period. The RP8 plinth is 7 times lighter than the weight of the original Planar 3 plinth. Rega has added even more stiffness in the crucial area between the arm and the main bearing. Today there are many approaches to Hi-Fi design which follow established and informed engineering or electronic principles. Amplifier and loudspeaker design has been well documented over the years with excellent technical publications. These subjects have been based on tried and tested acoustic criteria and many computer software programs now exist that enable a near amateur to design a passable working loudspeaker based on known acoustic and mathematical parameters. 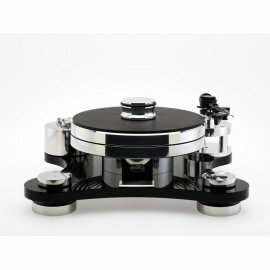 Enter turntable design: When it comes to turntable design we are limited to a few poorly informed articles describing only very limited aspects of design. This is a subject full of mythology. Designers propose theories that counter the basic laws of physics, use terminology that doesn’t actually exist in the engineering world, build products that are more like beautiful sculptures than acoustic reproduction machines and sell items costing tens of thousands of pounds that hardly function as intended and often fail to work at all. For instance a very common myth is “the heavier the better” concept. Turntable bases weighing tens of kilograms are not uncommon. 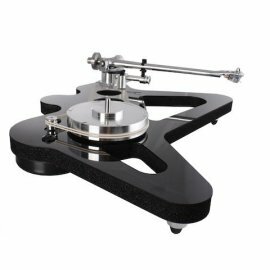 The reality is that the base actually needs to be as light as possible to prevent unwanted bearing and motor noise being transferred to the turntable or record. Platters also fall under a similar myth with many platter designs becoming so heavy that it is impossible to design a correctly functioning bearing (and some so light that anyone can hear the speed inconsistency). The turntable platter itself needs to be of enough weight to spin at a constant speed within the confines of the chosen bearing and motor drive system. Many amateur designers in any field choose one component in a design and try to achieve an extreme in size, weight and quality. They believe that by taking one theory to its extreme the design will become “perfect”. The reality of all engineering, design (and life) is that perfection is not possible. Based on this reality, Rega’s goal has always been to optimise a mixture of numerous “correct compromises” thus bringing the designer nearer to the unachievable goal of perfection. The motor is a high specification, 24V twin phase synchronous unit which has the anti vibration circuit hand tuned to each motor and is controlled by Rega's unique and innovative TTPSU power supply. The motor drives the CNC machined pulley and sub platter/hub-bearing assembly via the belt drive.